"Cut The Rope" and "Pudding Monsters": NEW "Greeting Card" Feature in "Cut The Rope: Holiday Gift"
NEW "Greeting Card" Feature in "Cut The Rope: Holiday Gift"
( Updated on 6th December 2014: ZeptoLab just released a new ver. 1.7 which is the same as ver. 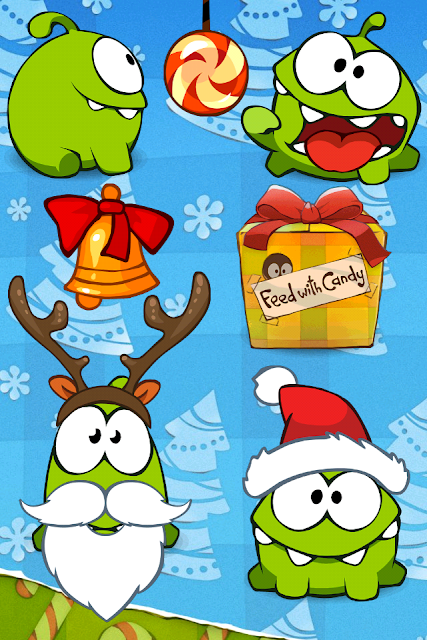 1.6.x but it has extra ad for new game "My Om Nom", ver. 1.6.x is basically the same as ver. 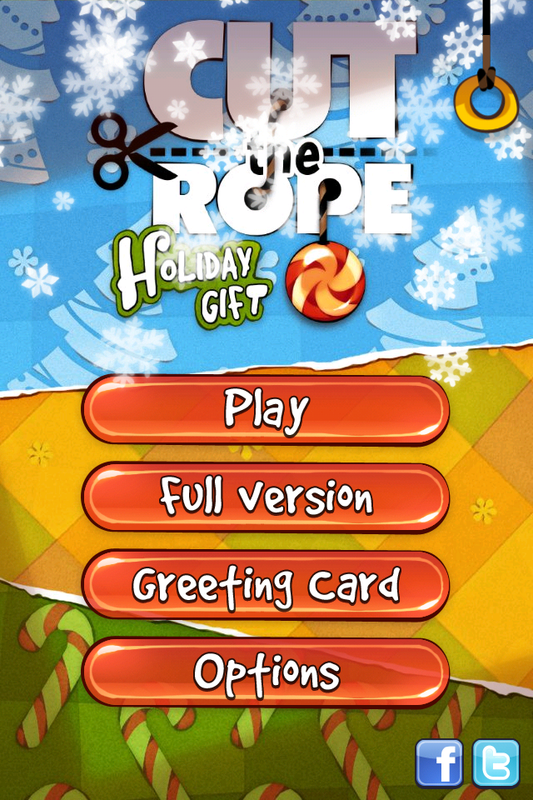 1.5.x but it has an Android version this time, for more details please read the articles: "Cut The Rope: Holiday Gift" ver. 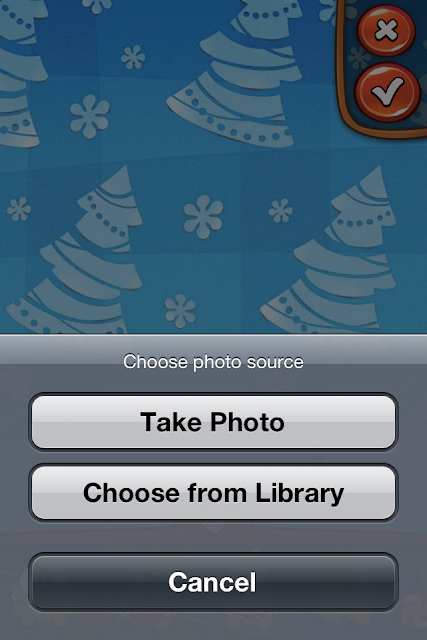 1.5 and Tricks usable in iPhone 4 but not in iPhone 3G. 3 NEW items for the "greeting card" creation feature have been added in ver. 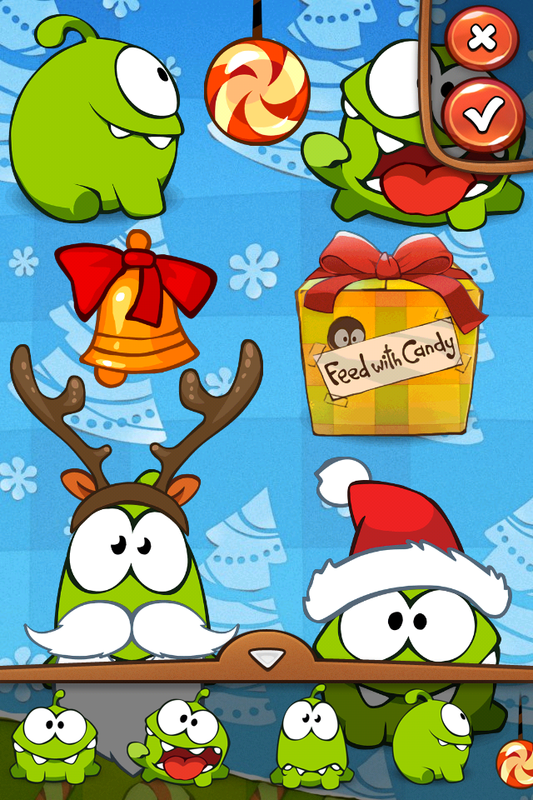 1.5 when compared to the earlier ver. 1.1 as shown above. Previously I forgot to mention something. The order in which you drag out the items from the menu below is important. 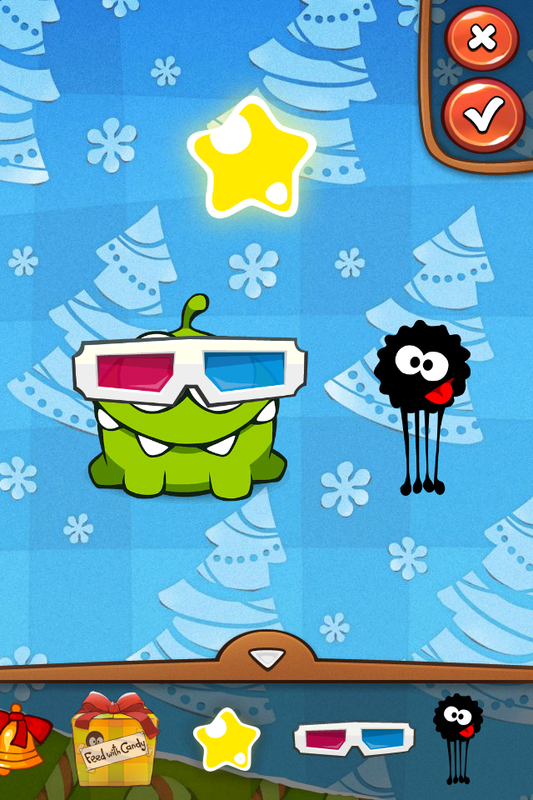 For example, in the above case, you have to drag out the "Om Nom" item from the menu below 1st followed by the "3D Glasses" so that the glasses will appear on top of Om Nom's face. 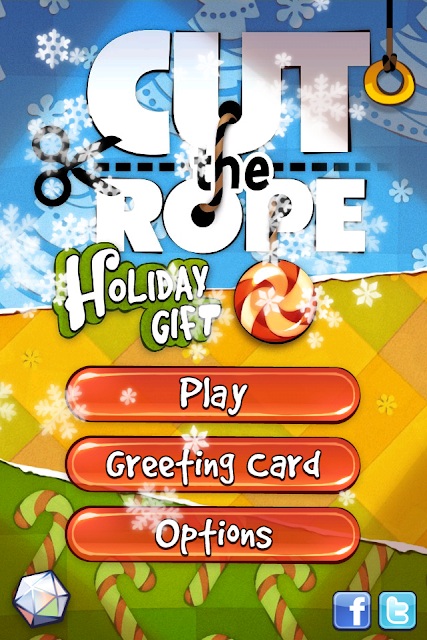 There's an interesting "greeting card" creation feature in "Cut The Rope: Holiday Gift" as shown in the above 4 screenshots.